Ballina is a town with a colourful, fascinating history dating back for thousands of years. 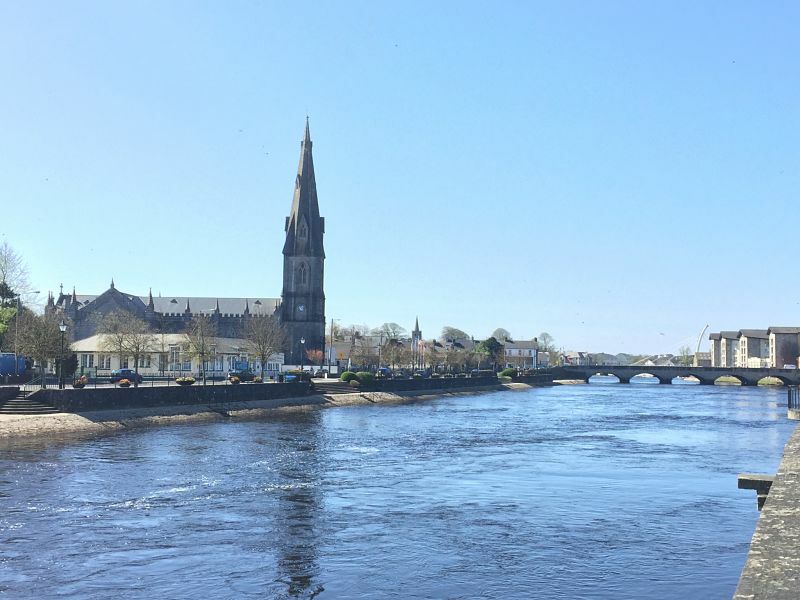 And what better way to learn about that history than to embark on a walking tour of Ballina with one of our very own local historians? During her tour, Carmel will take you on a journey through Ballina’s history, from the ‘Dolmen of the Four Maols‘, dating from 2000 BC, to our famine burial site, to the General Humbert Monument, which commemorates Humbert’s march through Mayo from his landing in Kilcummin, to the house in which the first female President of Ireland, Mary Robinson, was born. Along the way Carmel will point out things of interest such as examples of our beautiful Georgian architecture, our Military Quarter, and our stunning ecclesiastical ruins. Hear also about Ardnaree (Árd na Riagh) and how Ballina wasn’t always all in County Mayo! Tours are FREE. Book a place below. The main objective of this group is to acquire and share knowledge of the natural and built heritage of North Mayo and West Sligo and to work in partnership with like-minded bodies and individuals to promote awareness and appreciation of our heritage. The group hosts regular lectures of historical interest in Ballina – follow their Facebook page for more information.